Carousel Checks - Always 70% Less Than Bank Prices. When it comes to saving money; we as people either can do it without blinking or without a care, or for some of us it takes a lot more effort and planning. I can honestly say that I can be categorized in the latter more often than not. Now we all hear from our parents and grandparents about saving money for a “rainy day” or emergencies…well, don’t those always seem to happen we are the least prepared? Of course one of the benefits of saving money is obviously being prepared for those dreaded “rainy days” but here are some other benefits and also a couple of “how-to’s” that may strike your fancy. 1. Feeling accomplished – yes, it is nice to get our paychecks and see the money in the bank, but bills and other financial obligations like to take that cheer away from us rather quickly. Saving money and seeing the money sit and grow in savings and money market accounts is nice, the likely hood that it will grow is much greatly than that of it depleting. 2. Vacation fund(s) – saving money each week or month can help when planning family vacations or can grant you the financial ease of “escaping” for a long weekend spontaneously. 3. Being able to help family or other people, strangers in a monetary way – charitable donations are always nice but what would be even better would be giving without it hurting ourselves financially also. 4. Building reserves improves your net-worth. We may never be worth the same as J.K Rowling or Steve Jobs etc but we can at least try, right? 5. Spending at the holiday season needs less financial planning – however I am not promoting that we all go out and spend, spend, spend. 6. Peace of mind – who wants to worry? No one. Saving money helps us know that if anything were to happen, good or bad, you are covered at least somewhat. 2. Limit dining out. I hardly dine out but when I do, I know why I do it so little. It is so expensive. You pay for the food at the restaurant, one glass of soda or tea costs the same as the two liter bottle of coke you could have shared at home. You then have to tip on top of that. It adds up…quickly! 3. $5 bill Challenge. I also do this as well and it helped me out so much last year. I will continue to do this. Basically the challenge is every time you have a $5 bill, put it in your savings account, piggy bank, money jar, whatever. I kept it out of sight, out of mind and it added up so fast. I was floored. 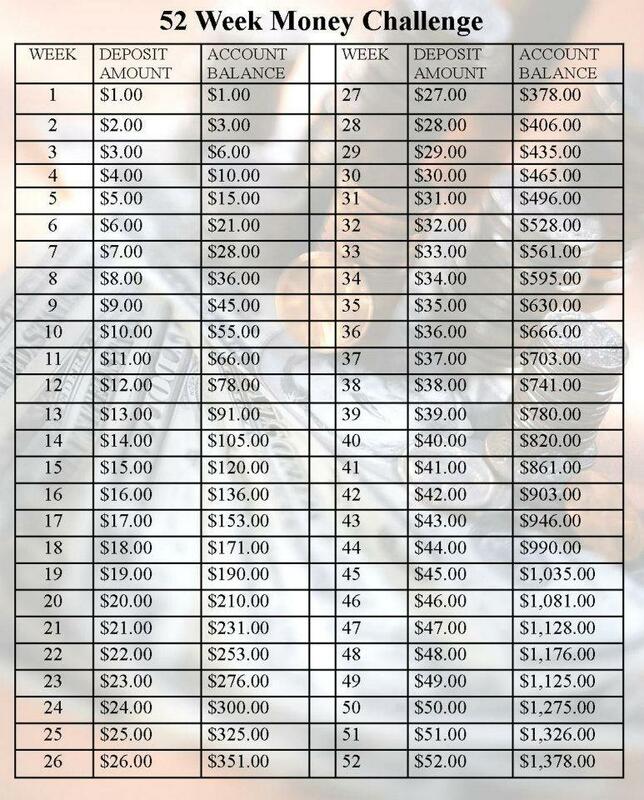 I think sticking to this and the 52 week challenge are easy ways to save money that are fun and don’t drain you. The most you are putting away at one time between the two challenges is either $5 or $52…simple. Saving money has become fun for me and my family and I feel better about myself, more confident. The benefits to saving money are truly endless. Catriona McBain is an article writer and blog post writer for www.SaveUp.com. She also works for Bank of England as a receptionist during her working hours. What do you write checks for? 19 queries. 0.208 seconds. Zindi theme.